long-term care means going to a nursing home. Many people equate long-term care with nursing home care. And for most people, that’s someplace they simply refuse to go. Since they have no intention of ending up in a nursing home, they don’t think they need an LTCi policy. actually can help keep people out of a nursing home. 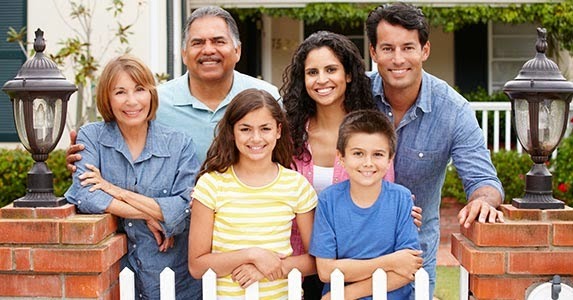 People who buy an LTCi policy, generally do so because they love their family. In a survey of LTCi policyholders, over half of those we talked to said they bought their policy because they’d been a caregiver for someone with a chronic illness or disability. That experience left them determined not to let the same thing happen to their family. These people told us loud and clear they didn’t want their kids to have to take care of them. Research reveals most caregivers are family members. According to the American Association for Long-Term Care Insurance (AALTCI), the typical caregiver is a 48-year-old woman who provides more than 20 hours of care each week. Add that to an already full schedule that includes working and raising a family and you can see how taking on the responsibility of caring for an aging parent is not an easy task. Many people think there’s no cost associated with kids caring for a parent. But the costs are real. There’s a financial cost when a child has to quit a job, reduce work hours or pass up a promotion in order to be able to help a parent. There’s a physical cost that comes from being stretched too thin as caregivers neglect their own health and often become ill themselves. And there’s an emotional cost when hard feelings arise between family members if caregiving duties are not equally divided. An LTCi policy can provide a real advantage for families struggling to care for a loved one. Policy benefits can be used to hire caregiving services that supplement the care provided by family members. And that’s a good way to help people stay connected to what matters most…their family. Visit our LTC-360 site to see all the options available today for funding Long Term Care Expenses. How about a 5% Commission Bonus on your next Case? The iGO e-App is a fillable online form which walks you through the Life Insurance application of the company you choose. You can complete the whole application online and submit it electronically. iGO (in good order) won't allow electronic submission until every box shows the green check mark, assuring that your application is complete in every detail and will not be delayed by missing information. Many of the participating carriers will accept an e-Signature as well. Questions about any of the iGO e-App procedures?